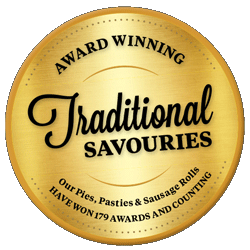 With over 115 years of baking, FERGUSON PLARRE BAKEHOUSES savoury products represent a great way to help your members enjoy award winning Pies, Tiddly Oggies & Sausage Rolls whilst raising funds for your group, community or charity. 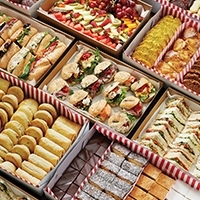 All of our savouries are freezable so you can promote and sell them to your customers in volume and with confidence. Plan the date to receive your products and call to book the date with your local FERGUSON PLARRE. Create a Cover Letter to give to your members if required or use the template provided by Ferguson Plarre. Work out the date that forms need to be returned to you by. Allow yourself enough time to collate orders and notify your local Ferguson Plarre within 3 days of the collection date. Put all appropriate dates on the Orders Collector Form then photocopy and distribute this Form to your students /members to start collecting orders. Step 6 – Count your funds & set a date for the next one! Count your funds, celebrate with your team and set the date for your next Ferguson Plarre fundraiser! We know fundraising requires an enormous amount of co-ordination and support because of this we offer a complete kit to assist you with your event. Ferguson Plarre put the FUN back into Fundraising by providing you with all the necessary tools to make your experience pleasurable. Must be made on day of collection or earlier. Our savouries are made fresh daily. If refrigerated, they are best consumed within 3 days of order. If frozen, they can be kept for up to 6 months. Refrigerate for 3 days (then consume) or freeze for up to 6 months. Please handle with care when distributing. Our savouries are perfect for the freezer so they can be enjoyed throughout the year. Do not freeze them prior to distribution to your customers. It is important that you time your pickup carefully. Distribute your orders as soon as you pick them up. Make sure your vehicle is cool or use an esky with ice blocks. Products should be delivered to your members /customers within 2 hours of pickup. Responsibility for the temperature and handling of the food is yours once picked up. Please take care. All orders will be packaged individually and your tasty treats will be ready for collection at your local Ferguson Plarre Bakehouse on your chosen day. To arrange your Fundraiser simply enquire in store at your local Ferguson Plarre Bakehouse.